In spite of novel ideas and discoveries, somehow the old never loses its charm. This especially holds true for the old newspapers, which have retained their charm all through these years. 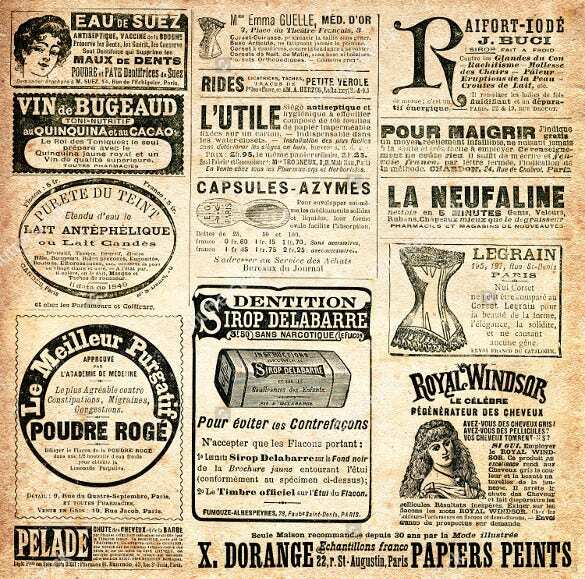 The sepia colored paper with a vintage print is something that people miss, in the modern times. 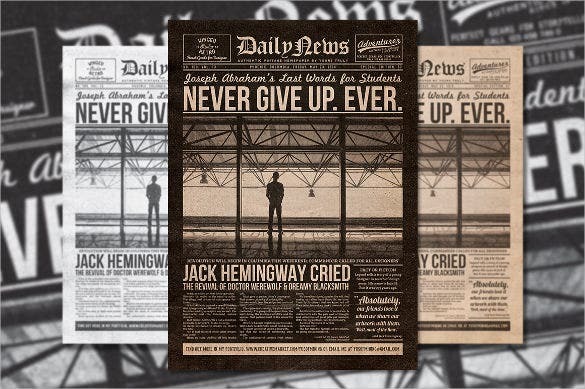 Take your readers to the bygone era with this classic old newspaper template. 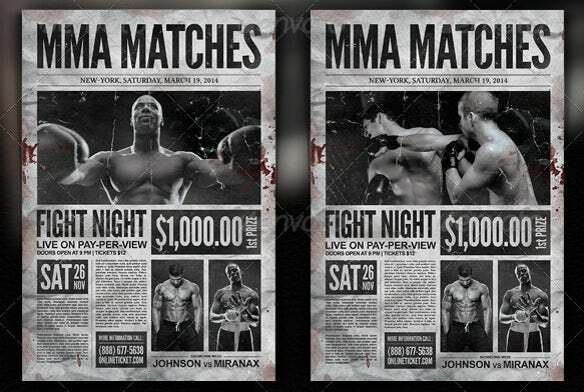 You may like Free Newspaper Templates Whether you are using it to make a business announcement or a personal one, whether you are thinking to use to share your college or as an invitation for a special event, this Newspaper Templates are perfect to convey your thoughts. 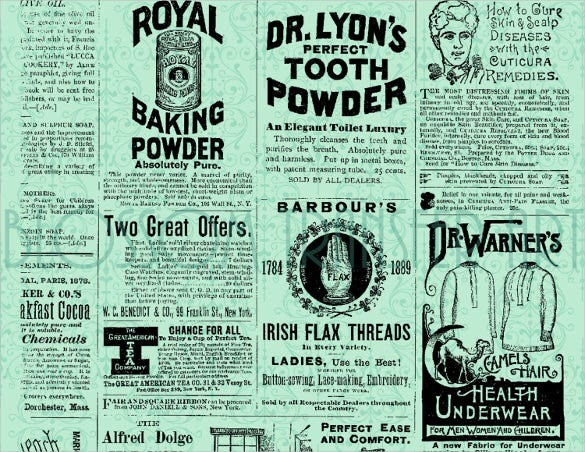 Old newspaper designs have a charm of their own. 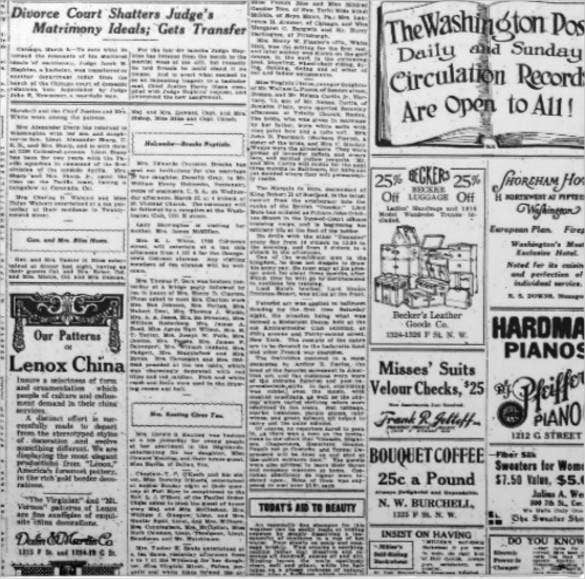 Check out this old newspaper template for example. If you’ve been a follower of old newspaper clippings you’d have noticed they focus on making images the centerpiece of the news item. Same format is seen here. 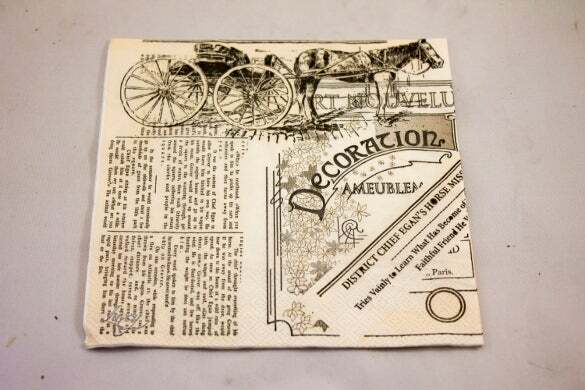 This template follows a classic newspaper pattern. You can add a large image at the top, just under the headline. After the image, you can add the title and the subsequent text under it. If you have a daily, then you’ll know the importance of advertisements. 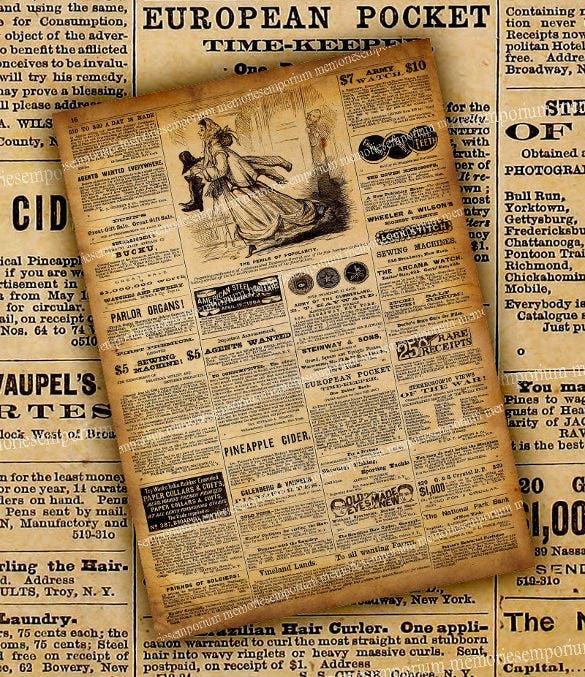 You can add a unique touch to your advertisements with this vintage look, complete with brown paper and miscellaneous ads scattered all over the page. 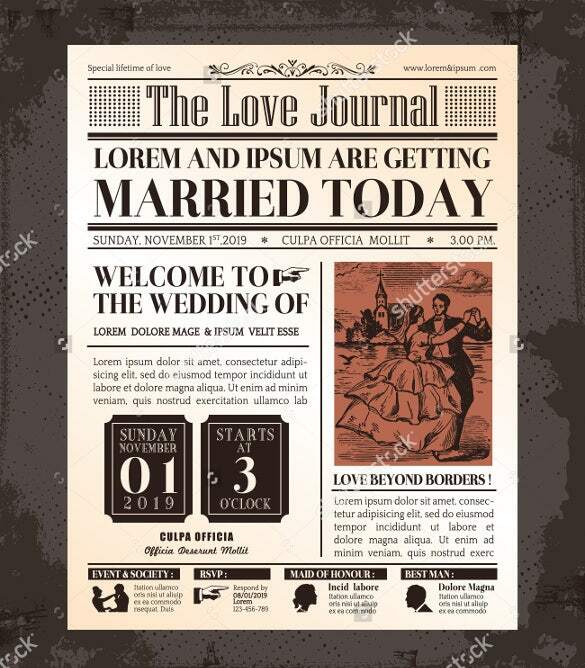 If you cover wedding ceremonies and similar celebrations, then you might want to opt for this template. It states the most important information at the very beginning, followed by descriptive passages. 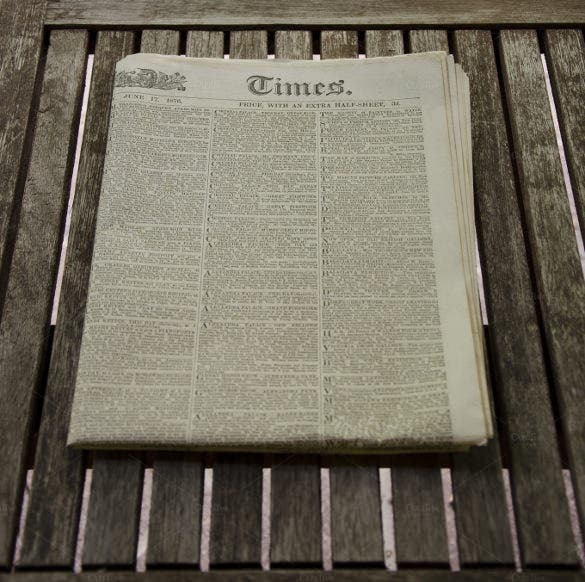 A simple, no nonsense type newspaper template, this would be perfect if you run a daily. 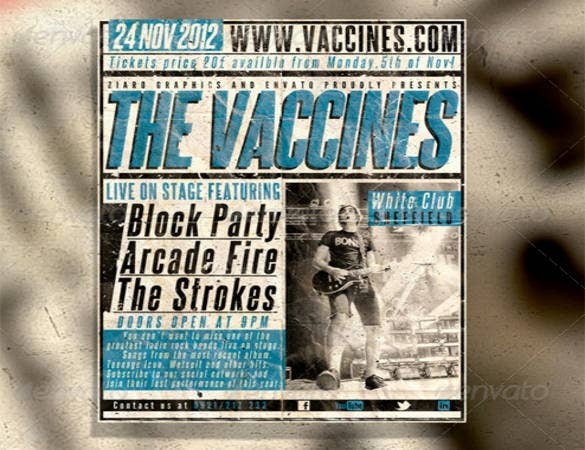 It focuses more on text than images, and there are spaces provided for advertisements as well. Despite having a very retro feel to the template, this would be perfect for modern dailies looking for a classy, minimalistic look. The division of paragraphs also makes it easy to read. 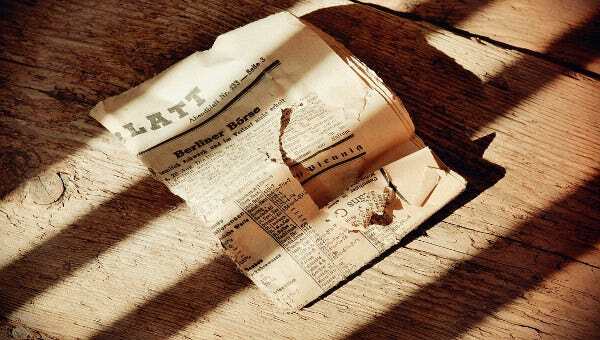 Old newspapers immediately bring to mind tattered, yellowing pages. That is just what this template represents. 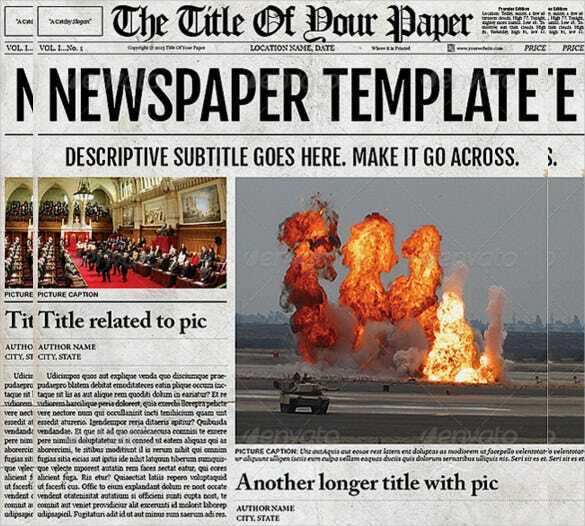 If you want a different look for your newspaper, you should go for this template. More than a daily, this particular template would be better suited to weekend newspapers or tabloids containing less serious news items. It has a retro look, and can be edited easily. If you have kept a separate page for advertisements, then this is the template for you. You can add all kinds of ads, with relevant images to accompany them in the spaces provided. 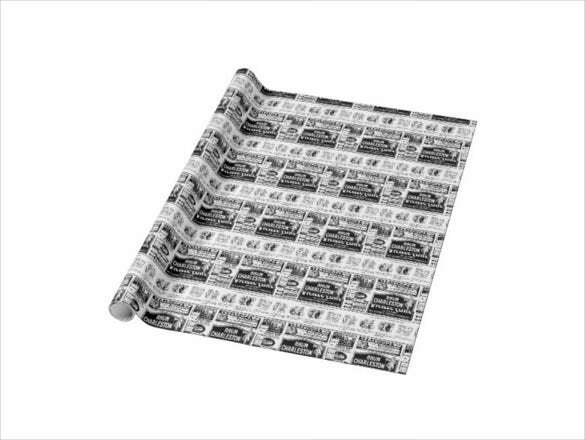 This newspaper template has been designed like a wrapping paper, which gives it quite a fascinating and attractive look. All you have to do is download it, edit and print it.